Eating a perfectly ripe apricot is one of life’s great pleasures, but you can upgrade the experience with booze. Eating a perfectly ripe apricot is one of life’s great pleasures, but you can upgrade the experience with booze. Here, nine vibrant, refreshing apricot cocktails to make now. Inspired by the Pisco Punch, the Pisco-Apricot Tropicál first appeared in Charles H. Baker’s 1951 South American Gentleman’s Companion. Beer adds carbonation and a pleasant funkiness to cocktails. The apricot ale here offers fruitiness, too. To keep this drink from getting too cold, bartender Hidetsugo Ueno employs what he calls a low-speed stir. "You have to feel when the stir gets heavy," he says. "That's the moment when the apricot aroma really comes through." 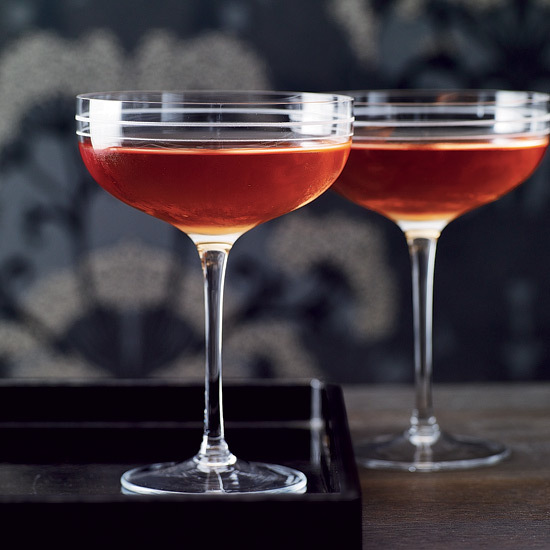 In this version of the classic sidecar, apricot brandy replaces traditional Cognac. This sparkling, apricot-accented cocktail is a take on the early-20th-century drink French 75 (gin, Champagne, lemon juice and sugar). Besito means "little kiss." This smooth tequila cocktail features apricot brandy and fresh orange juice. Here, mixologist Sean Muldoon combines plum (vodka) and apricot (liqueur) with citrus to make this pleasantly dry cocktail. In this fragrant, crystal-clear cocktail apricot eau-de-vie is matched with juniper-scented gin. Bartender Josey Packard makes her own apricot brandy for this cocktail by infusing Cognac with dried fruit.